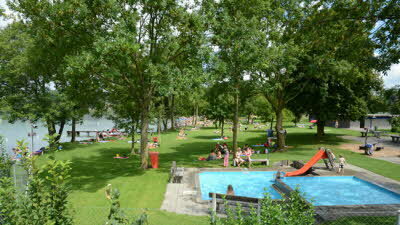 This friendly, family-run site near to the village of Vitznau is located on the banks of Lake Lucerne and offers spectacular views across the water. Small and peaceful, the site’s neat, level pitches have fine views of the surrounding scenery and are shaded in part by mature trees. The heated pool boasts a view of the mountains and is the perfect place to watch stunning sunsets. There’s also a well-stocked shop and café, and it’s just a short stroll onto the nearby town for a wider choice of restaurants. 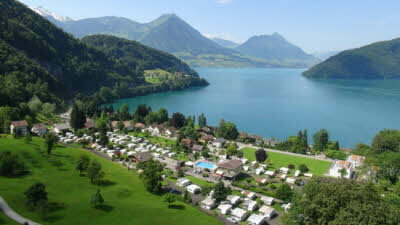 Nearby Mount Rigi is ideal for summer walks, while Lucerne can be reached by bus or boat. Known for its preserved medieval architecture including the colourful Altstadt (Old Town), the city was a favourite for the likes of Wagner and Queen Victoria. From Lucerne take Route 2 to Kussnacht, turn right onto the Route 2b signed Weggis and Vitznau. 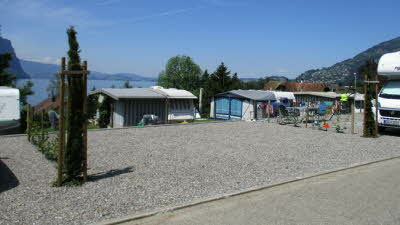 After 7.5 miles, in Vitznau, turn left onto Gufferiweg signed campsite, after 100m turn right again onto Altdorfstrasse signed campsite. Campsite entrance 200m ahead. Great site that is clean, modern and we'll maintained. Owners are very friendly and helpful. 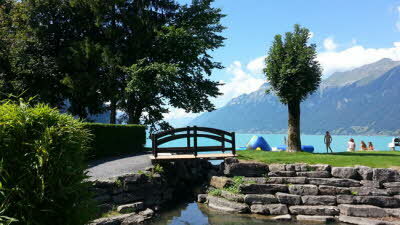 It is located in an ideal quiet location a very short walk into Vitznau, Lake Lucerne and the Rigi mountain railway. The site gives out a discount card for tourists to save money at various locations too. Travelled through France and Germany. Reims, Strasbourg then arrived at Vitznau. This is a little gem. Approach road a little tight but as my rig is 9m long so it may not affect smaller vans. Can't understand why this site has no previous reviews. I booked for 2 nights but extended to 3. Absolutely beautiful location and surrounding area.